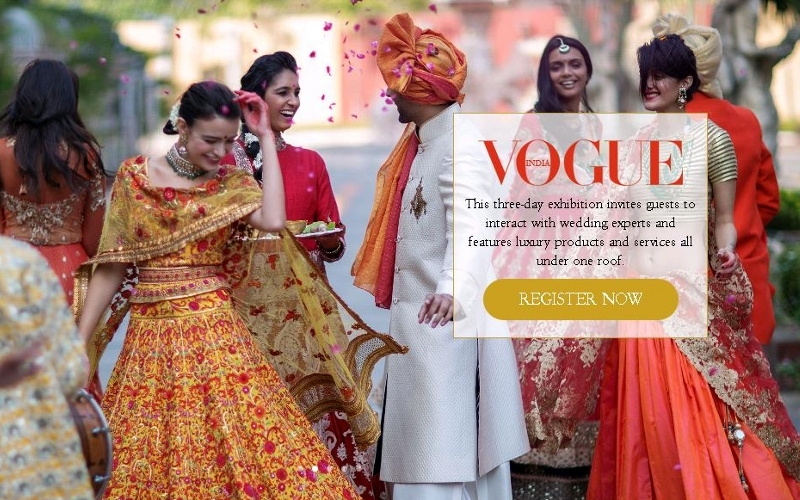 As Vogue Wedding Show, The Ultimate Destination for Indian luxury weddings, enters its third year (to be held on Aug. 7th-9th, 2015 in New Delhi), it seems to be only getting bigger and better. Vogue Wedding Show is a unique, specially curated exhibition featuring the most luxurious and personalised services to make your dream wedding come true. Its an opportunity for to-be brides & grooms along with their families to meet India’s top designers and jewellers and to discover cutomised trousseau collections from international labels and to also have personalised interactions with celebrity wedding specialists. Last week, Vogue Bridal Studio, prelude to the VWS 2015 made its national debut with Mumbai featuring designer Anju Modi in a tête-à-tête with Vogue India Fashion Director- Anaita Shroff Adajania on bespoke bridal trends for the season and an exclusive preview of her wedding collection at AZA store, Bandra. 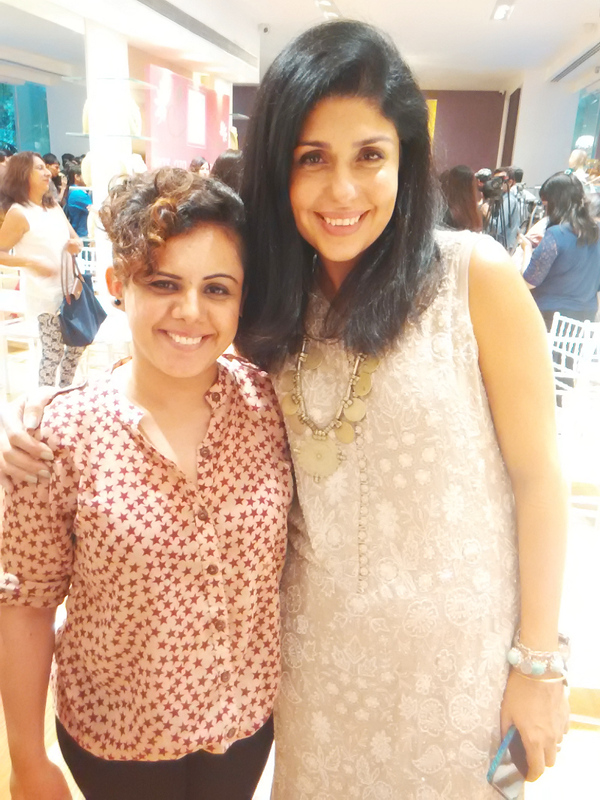 Shalini Mehta: Whats so special about the Vogue Wedding Show? Anaita Shroff Adajania: The VWS is a highly specialized event known to have the best in clothes, jewelry and gifting as well as a saree-pavillion being added this year with designers like Ekaya, Lakshmi and Swati & Sunaina showcasing their best designs; Structured beautifully like a ‘Street in Paris’, it’s the ultimate in luxury. The most important thing about this event is that clients get individual attention by the designer himself/herself who advice, suggest, drape and tell the clients what works best for them. Since its also the first time that designers are forecasting their bridal trends, people really get to see what the latest bridal trends are. Also, very peculiar to the show is ‘Workshops’ conducted by experts like Namrata Soni for makeup, Savio John Pereira for hair, Dr. Harsha Bijlani for skincare, Kinita Kadakia Patel for nutrition and myself for styling. A precursor the the VWS is The Vogue Bridal Show that is happening today and the aim is to familiarize the actual target client about the whole show. Shalini: How do you select designers for the show? Anaita: Vogue understands its clientele and knows what will make them happy. The designers are selected keeping the clients in mind and in that sense curation for the VWS is tailor-made for the client. Shalini: What do you find most fascinating about Anju Modi’s collection? Anaita: It’s the whimsical and fairy-tale like quality to her designs that is most fascinating. For instance, the beautiful kalidar kurta in her bridal collection comes unexpectedly with umbrella print which makes the outfit so much fun. She has a knack of mixing and matching the most unexpected elements and all these elements seem to come together like magic all in her designs. Shalini: 3 words that we will be hearing a lot at the VWS 2015. Shalini: Which trend are your most excited about this bridal season? Anaita: Has to be ‘destination wedding’ as it means lighter clothes, lighter jewelry (owing to travel) and because it also means a lot of fun. So a wedding on beach would have guests gone easy on makeup and not wearing heels which automatically makes the occasion so much more relaxed and enjoyable. Also, with destination weddings becoming such a huge trend, designers have had to work harder. They are now using fresher palettes, fresher silhouettes which gives a completely different feel to the wedding. Shalini: what’s ‘out’ for bridal trends 2015? Anaita: What should be ideally out this bridal season is ‘over bejewelled bride’. Its about being tasteful. Also, less is more but I dont mean minimalism, I mean ‘controlled-maximalism’. It’s also about exercising control and that goes for rest of the family members too, (talking on a lighter note) like mother-in-law should stop nagging their daughter, groom should let the bride wear what she wants. For my wedding, I decided to wear a saree-gown which looked like a saree but had a zip to keep to keep it in place. If my mother freaked out? Not at all. She was more bothered about getting a similar saree-gown for herself. End of the day, it should be about the bride’s personal style and comfort. As much as the bride, In-laws too need not get bogged down by traditions and rather be more true to their self and personal style. The chat has been condensed and edited.